Kibana lets users visualize their Elasticsearch data and navigate the Elastic Stack, so they can do anything from learning why they’re getting paged at 2:00 a.m. to understanding the impact rain might have on their quarterly numbers. Kibana gives users the freedom to select the way they give shape to their data. And they don’t always have to know what they’re looking for. With its interactive visualizations, users start with one question and see where it leads them. 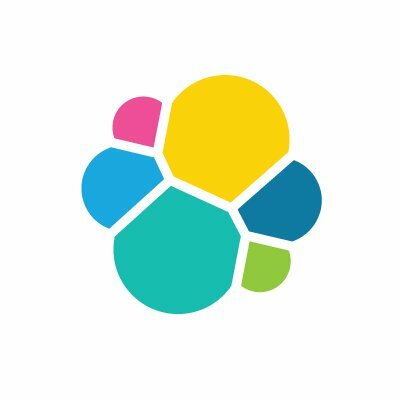 Kibana core ships with the classics: histograms, line graphs, pie charts, sunbursts, and more. They demonstrate the full aggregation capabilities of Elasticsearch. Are you a top Senior UI Engineer who want to add to Kibana? Do you want to build a UI framework that implements the core design features that are reused across Kibana and other Elastic products? We want to meet you. Engineering a highly complex distributed system that is easy to operate via elegantly designed APIs is a non-trivial effort. It requires solid software development skills, and more importantly, a sharp mind and the ability to think like a user. We also care deeply about giving you full ownership of what you’re working on. Our company fundamentally believes great minds achieve greatness when they are set free and are surrounded and challenged by their peers, which is clearly visible in our organization. At Elastic, we effectively don’t have a hierarchy to speak of. We feel that anyone needs to be in the position to comment on truly anything, regardless of his or her role within the company. Manage complexity at scale. Kibana has an enormous front-end codebase and we need your guidance and leadership to help us maintain it as it continues to grow. Cultivate our React component framework. You'll review pull requests with an eye towards code readability, interface consistency, accessibility, future-proofing, and test coverage. You'll also add new components with the help of our designers. Document tools and UI systems. Your clear documentation will guide our team on how to use our React component framework as well as various UI systems within Kibana. Evangelize front-end best practices. You'll help other engineers improve their front-end software design, with an emphasis on writing modular, clear, testable (and tested!) code. Lead major front-end initiatives. Examples of initiatives include migrating the codebase between frameworks, making Kibana's UI accessible, optimizing the performance of specific UIs, and implementing a framework-agnostic internationalization system. 5+ years of experience building UIs for complex web applications or SaaS products. Strong preference for open-source experience. Passionate about writing clear, modular code and effective, pragmatic tests. Thorough understanding of unidirectional data flow, state management, compositional design patterns, and other modern UI engineering concepts. Experience maintaining a UI component framework. Experience identifying code complexity, exploring and communicating alternatives, and refactoring it to be simpler. Experience with React (or similar UI libraries) and Redux (or similar state-management libraries). Experience with Node, Webpack, Grunt or Gulp for building tools that improve the developer experience. Understanding of how to leverage unit, integration, and end-to-end tests efficiently. Experience building UIs that are accessible according to WCAG standards. Experience with internationalization and localization. Experience identifying browser performance bottlenecks and optimizing render and interaction speed. Appreciation for and understanding of design and/or animation.